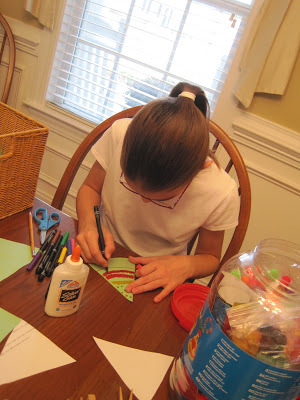 I think we began a new tradition last year with our Christmas craft and baking day. We’ve set aside next Thursday for this year’s edition. Once again, we plan to make a Circle Garland and our Chocolate Holiday Bears. We’ll probably also try these Button Ornaments and these Cream Cheese Sugar Cookies. I’d like to do one other craft so I’ll be scouring Pinterest and the Internet to see what ideas I can find. If you have a suggestion, please let me know! I love this craft day! This looks like fun! My children are getting old enough to start forming our own traditions; maybe I should have started earlier. 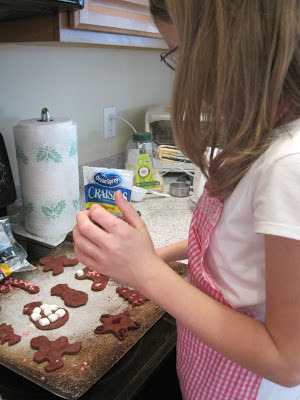 We're going to make gingerbread men this week! Fun! !